The Fan Site Network is a collection of websites that provide one stop shop for getting the latest news, photos, videos and scores for your latest sports team. This website includes all aspects of custom website development, SEO, and Google PPC. Released in 2005 this website has been updated in three major site releases and dozens of smaller releases. 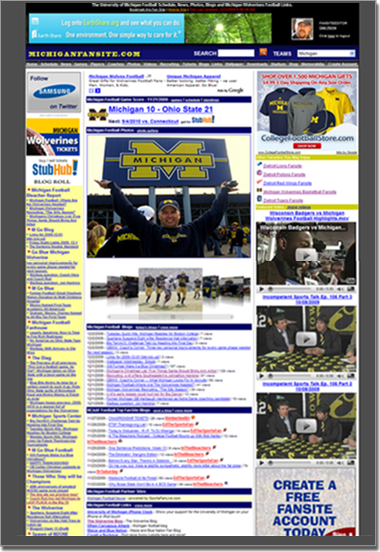 This website contains thousands of pages devoted to fans of NCAA Football and Basketball as well as all other professional teams. This site is updated many times throughout the day with the latest news headlines, photos, blogs and headlines provided from many major news gathering services.